We offer an elegant ballroom that holds up to 1100 people in a banquet style setting and is the perfect place to host numerous events such as banquets, birthday celebrations and anniversary parties. 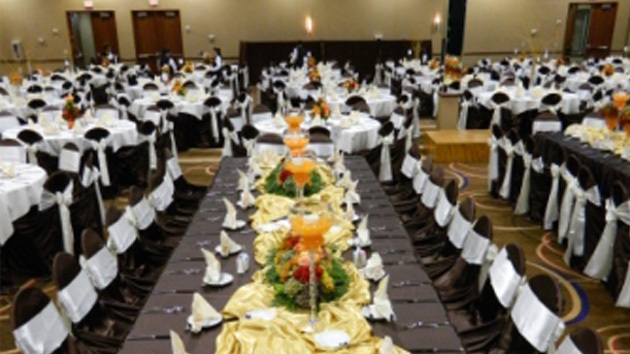 The Power Center offers you and your guests an elegant experience every time you walk through our doors. We are committed to exceeding your highest expectations and we guarantee to provide an extraordinary event.